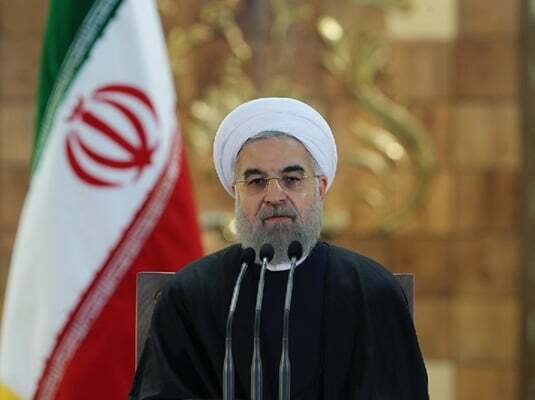 Iran’s President Hassan Rouhani has congratulated world leaders on the birth anniversary of Jesus Christ (PBUH) and the advent of the new Christian year in separate messages on Tuesday. Wishing a year full of happy moments for nations and governments, Rouhani said he hopes the New Year would see greater efforts to bring peace and justice. “On the eve of the New Year, I hope that by taking advantage of the teachings of divine prophets and through solidarity and empathy we could work to spread peace based on justice,” he said. He also hoped for security, calm, prosperity and equality across the globe. In a separate message to the Pope of the Roman Catholic Church, Pope Francis, Rouhani said he hopes the guidelines of religious intellectuals and scholars and cooperation among world leaders will lead to create prosperity and calm across the world. Separately, a number of high-ranking Iranian officials, including Parliament Speaker Ali Larijani and First Vice President Es’haq Jahangiri, issued congratulatory messages Tuesday.